James Mosley is Visiting Professor in the Department of Typography & Graphic Communication at the University of Reading. 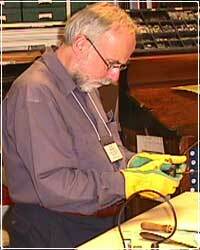 He retired as Librarian of the St. Bride Printing Library in London in 1999. The founding editor of the Journal of the Printing Historical Society, he has written and lectured extensively on the history of European and English typography. In 2003 he received the annual award of the American Printing History Association for his contributions to printing history.